Home Care in Waikiki HI: Is Your Loved One Doomed to Never Drive Again if Arthritis Is a Problem for Her? When your elderly loved one’s arthritis starts to get really bad, she may worry that it means she won’t be able to drive anymore. Depending on her circumstances, however, that may not be the case at all. When your loved one’s arthritis flares up, she’s likely to experience swelling in her joints, making movements that are normally easy very difficult. The muscles around her joints can become sore and stiff, too, making even small movements difficult. This can be an issue for your loved one no matter where in her body she has arthritis because driving affects the entire body. If arthritis is making driving dangerous for your elderly loved one, talk to her doctor. There may be treatments that can help. Your loved one may also need a different medication or dosage for her current medications. At some point, your loved one may have to face the fact that driving is simply too painful and that may be when you’ll need to help her make some decisions. One of the easiest things that you can do for your loved one is to make changes in regard to her vehicle. If she doesn’t already have power steering, for example, she needs to have a vehicle that does use power steering. Other changes you can make are things like adding mirror extensions to keep her from having to turn too far and an automatic transmission to eliminate shifting. Make sure the car is in good condition as well. If your loved one isn’t already exercising, then a regular exercise plan can help her to manage her arthritis pain. Talk with her doctor about what types and duration of exercise are best for her at this point. You may even want to consider working with a physical therapist to help your loved one to improve her range of motion. Having additional options beyond driving when she’s in pain is essential for your loved one. Work with other family members to set up a schedule of availability and enlist the help of friends and neighbors, if possible. 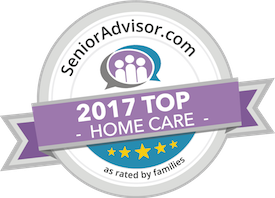 Her home care providers are also an excellent choice for transportation help and you’ll have peace of mind. Be sure to reevaluate your loved one’s driving plans periodically to make sure that they’re still working for her. Have questions about Home Care in Waikiki, HI? Contact the caring staff at All Care Hawaii today. Call Oahu (808) 206-8409 or Maui (808) 664-3853. Call us 24 hours a day, 7 days a week!